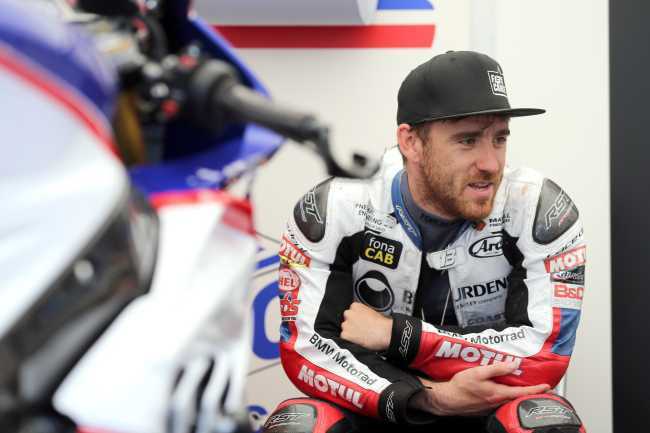 Irish road racer Lee Johnston will line up for Jackson Racing at this year’s Isle of Man TT Races fuelled by Monster Energy, with the diminutive Irishman riding Nicky Hayden’s 2016 World Superbike spec Honda CBR1000RR. The 27 year old will ride the Ten Kate prepared Fireblade that carried the 2006 MotoGP world champion to a World Superbike Race win last season at Malaysia and fifth overall in the Championship, in the RST Superbike and PokerStars Senior TT Races. He’ll also campaign Hondas in the RL360º Quantum Superstock and two Monster Energy Supersport Races. Winner of the 2014 350cc Classic TT, last season was ruined by leg injuries suffered in a crash at the Scarborough Spring Cup in April but he still had some fine rides on the Mountain Course with a brace of sixths taken in the two Monster Energy Supersport Races, eighth in the PokerStars Senior and tenth in the RST Superbike Race. However, when his East Coast Racing team quit the sport at the end of the year the Fermanagh man was without a ride for 2017. The new deal though means Johnston will also have the new 2017 SP2 spec Fireblade available in stock trim but by opting to ride the 2016 spec ex-Hayden Honda he hopes to avoid any problems in finding a good set up with a brand new bike. Jackson Racing has a wealth of experience at the TT with the Preston-based squad having previously run, among others, John McGuinness, Steve Mercer, Ian Lougher, Conor Cummins and Mark Miller. Former Manx Grand Prix outright lap record holder Alan Jackson jnr will again head up the team, with Johnston also contesting the North West 200, Ulster Grand Prix and Macau road races.